We own eleven twelfths of a house in the village of Montouliers in the south of France. 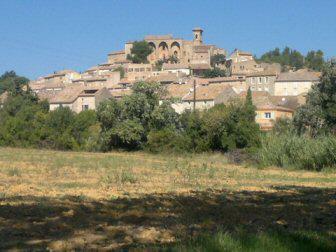 The village of Montouliers is about 25 mins drive from Narbonne and Beziers and 45 minutes from Carcasonne. It is 35 minutes from Mediterranean beaches and the same distance from the Haute Languedoc Natural Park. 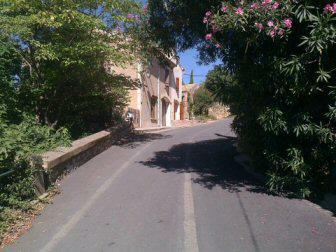 There are many picturesque villages and historic sites within 30 minutes drive. The Canal du Midi runs close to the village. The village has a shop and tennis court. There are plenty of walks in the surrounding countryside. Between May and October you are guaranteed warmth and sun. Our house has a single large room on the ground floor with a well equipped kitchen area, dining and lounge areas. There is also a toilet. Outside is a sitting area where you can take the sun in the mornings, be cool in the shade in the afternoons and meet the passers-bye. On the first floor are 3 bedrooms, one with a king size double bed, one with twin beds and one single room. The bathroom has recently been modernised. All the windows have electric shutters. To see a calendar of available dates go here.